An incredible beer from India. 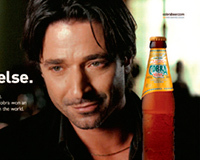 Cobra was born in 1989 by the efforts of the Indian Karan Bilimoria, who attempted to create a beer similar in taste to a Lager as well as an Ale. Cobra is a beer with low carbon content and an incredibly smooth taste, which make it a perfect accompaniment for any meal and especially the spicy tastes. Through a combination of barley malt and yeast with maize, hops and rice, Cobra was created, a beer with a distinctive and unique taste, which quickly took over the British market. 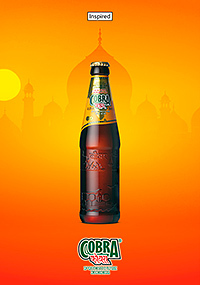 Cobra is also characterized by the impressive sculpted images, which show the history of the beer on the bottle. Find more information about Cobra.